One of the things I don't like about sleeping in a tent is how bright it gets in the morning. And when the sun hits the outside of the tent, it ends feeling like a green house inside. 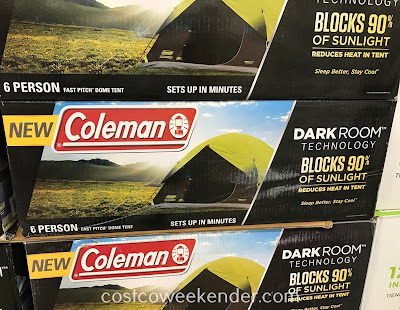 But with this Coleman 6-person Fast-Pitch tent, the Dark Room technology does what it's supposed to...keeps the inside nice and dark, blocks 90% of sunlight so you can sleep in a little later. 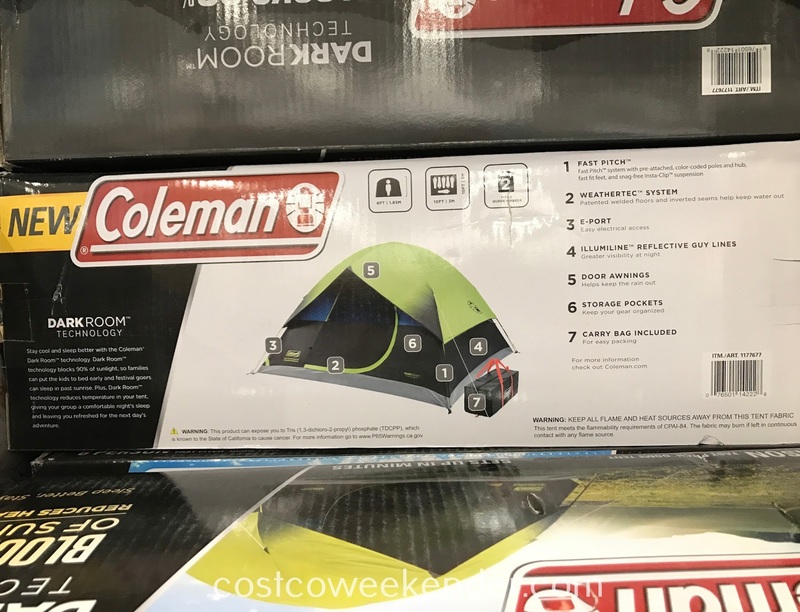 With plenty of room for 6 people, the Coleman Fast Pitch Dark Room Dome Tent can fit 2 queen-sized airbeds. 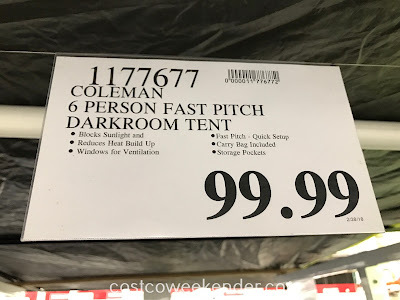 With this Coleman's Fast Pitch system, you'll be camping and enjoying the outdoor in minutes. So prepare for this year's camping season with the Coleman Fast Pitch Dark Room Dome Tent. Stay cool and sleep better with the Coleman Dark Room technology. Dark Room technology blocks 90% of sunlight, so families can put the kids to bed early and festival goers can sleep in past sunrise. 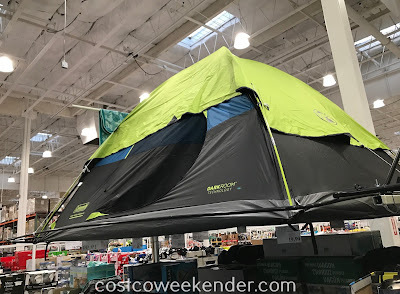 Plus, Dark Room technology reduces temperature in your tent, giving your group a comfortable night's sleep and leaving you refreshed for the next day's adventure.